CJ McGourty will not feature for the Antrim footballers in 2016 and has switched codes to play under new hurling boss, PJ O’Mullan. The former Loughgiel All-Ireland winning manager has named a provisional squad of 35 ahead of the forthcoming Walsh Cup campaign which begins next month. O’Mullan has also recalled his clubmates Liam Watson and Eddie McCloskey. Speaking at the launch of the Dr McKenna Cup at Belfast’s Fitzwilliam Hotel on Tuesday night, football boss Frank Fitzsimons confirmed that McGourty would focus solely on hurling next season. “I saw the panel last weekend and Conor is on the hurling panel for next year,” said Fitzsimons. “He was always a quality hurler and we all know that. I wish him all the best with the hurlers. While McGourty will line out for the hurlers in 2016, his St Gall’s clubmate Jackson McGreevy has also switched codes and will feature for the footballers when the new season gets underway. O’Mullan also revealed he was keen to acquire the services of Sean Burke but the St Gall’s ace opted to remain on the football panel. “CJ McGourty was given the choice and he wanted to commit to the hurling and I am fine with that,” said O’Mullan. “Frank (Fitzsimons) got a player I wanted. I would have taken Sean Burke if I could. “He is a great player but you can’t force player into these things. In another era, the aforementioned players may have played both codes. Yet, O’Mullan feels that it is no longer feasible to be a dual player at inter-county level. “In my own opinion, it is (not possible). You might get away with it at club level but not at inter-county level. The demands are massive. O’Mullan will be without the services of his Cushendall and Creggan contingent as the Antrim and Ulster Senior and Intermediate club champions prepare for their respective All-Ireland semi-finals. Additionally, star forward Paul Shiels is unavailable for the first half of season as he is set to undergo hip surgery. O’Mullan says the loss of Shiels is huge but is confident that he has assembled a talented squad that can help Antrim make a positive start to the 2016 campaign. “For the last three years people have asked why wasn’t Liam Watson on the Antrim panel. Now he is there, people are asking why he is there,” added the Loughgiel native. “He is in the panel for one reason – you are asked to get your best players on board and he is one of the best players. “We are down the Cushendall and Creggan players until after the All-Ireland campaign but, other than those players, I think I got about 95 per cent of the players we wanted. “There are always going to be one or two but it is not a closed panel. “Paul Shiels is a massive loss. He needs surgery but the good thing is he will be back, hopefully by the end of the year. It will be great if he did. PJ O’Connell remains unavailable for selection and is continuing his break from inter-county hurling after opting out of Kevin Ryan’s squad on the eve of their Championship campaign last year. Saul McCaughan is also unable to commit to the panel at present due to work commitments, but O’Mullan is hoping the Ballycastle ace will feature for the Saffrons later in the campaign. 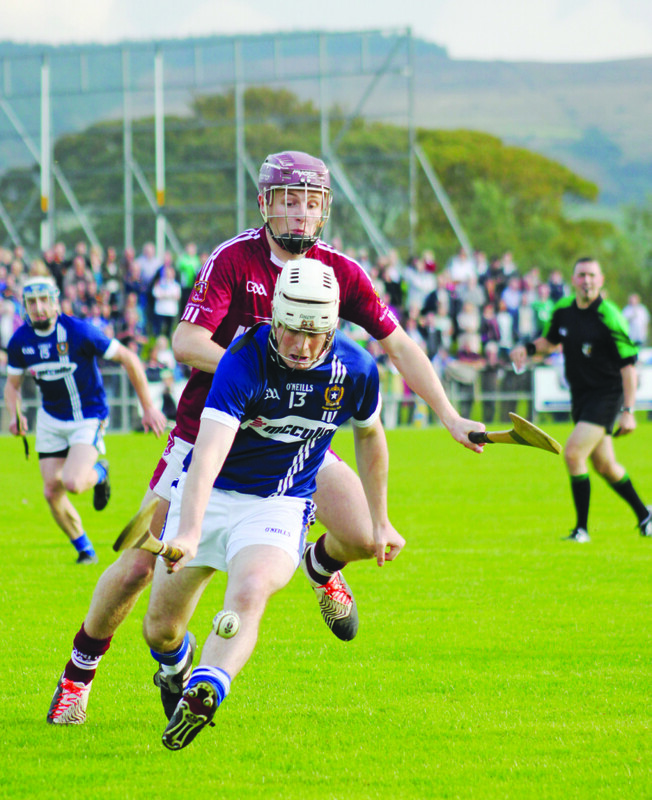 The absentees mean that O’Mullan will give several players the chance to stake their claim in the Walsh Cup and National Hurling League campaigns. As well as recalls for Watson and McCloskey, Barry McFall (St John’s) and Darren Hamill (Glenarm) return to the county fold. Last year’s minor captain Gerard Walsh is also included along with his Rossa clubmates Conor McClelland, James Connolly and Stephen Beatty. Meanwhile, former Antrim manager Kevin Ryan has included 11 Antrim men on his panel for the Inter-Provincial Hurling semi-final against Connacht on Saturday in Galway (12.30pm). Chrissy O’Connell, Odhran McFadden, Conor McKinley, Neal McAuley, Daniel McKernan, Ciaran Clarke, Stephen McAfee, Gerard Walsh, Simon McCrory and Michael Dudley are all included. John Dillon also makes the cut despite not being included in the Antrim squad for 2016 while Loughgiel goalkeeper O’Connell will captain the side. Niall McKeever, meanwhile, is Antrim sole representative on Pete McGrath’s Ulster football panel. Ulster face Connacht on Saturday night at the Athletic Grounds (7pm). Goalkeepers: C O’Connell (Loughgiel), R McGarry (Ballycastle), S McToal (Glenariffe). Backs: O McFadden (Loughgiel), T McCloskey (Loughgiel), T Coyle (Loughgiel), C McKinley (Dunloy), N McAuley (Ballycastle), S McCrory (St John’s), B McFall (St John’s), D Moran (St John’s), C McClelland (Rossa), G Walsh (Rossa), CJ McGourty (St Gall’s), B Graham (Clooney Gaels), C McCann (Gort na Móna). Midfielders: F Donnelly (Ballycastle), Ciaran Johnston (St John’s), M Dudley (St John’s), K McKernan (Sarsfield’s), J Black (Carey). Forwards: E McCloskey (Loughgiel), L Watson (Loughgiel), S McGrath (Loughgiel), D McCloskey (Loughgiel), C Clarke (Ballycastle), S McAfee (Ballycastle), Conor Johnston (St John’s), M Bradley (St John’s), S Beatty (Rossa), J Connolly (Rossa), D McKernan (Sarsfield’s), D Hamill (Glenarm), C Brogan (Dunloy), N McKenna (Sarsfield’s).